Two motorcycle outriders leading a convoy containing Theresa May crashed today after they were knocked down by a car in an ‘unfortunate accident’ during her Armistice visit to Belgium. 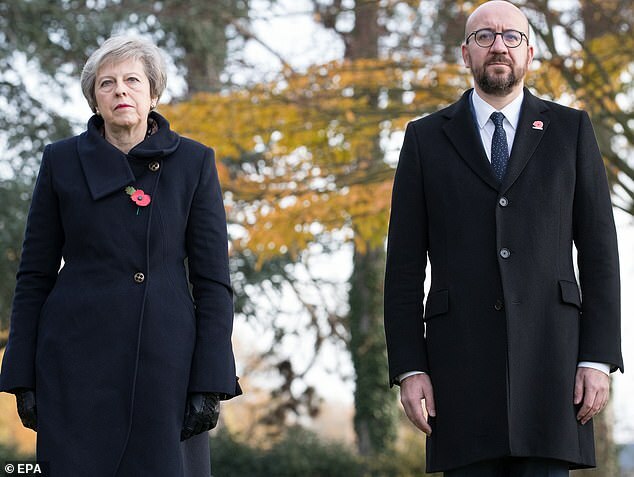 The collision happened on the A7 near Mons where Mrs May had been visiting the graves of British soldiers to mark the 100th anniversary of the First World War. 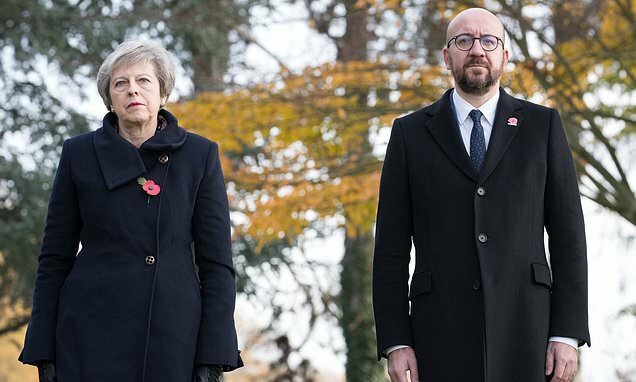 The two motorcyclists were escorting the British PM and her Belgian counterpart Charles Michel as they headed towards France to meet President Macron for lunch. 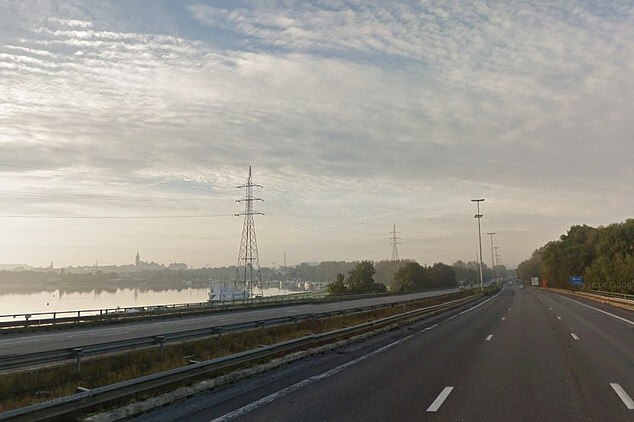 Mr Michel, who is a keen motorcylist, is said to have got out to check on the men but Mrs May stayed in her vehicle. The outriders were taken to hospital and De Standaard quoted Belgian premier Michel’s spokesman describing the incident as an ‘unfortunate accident’. 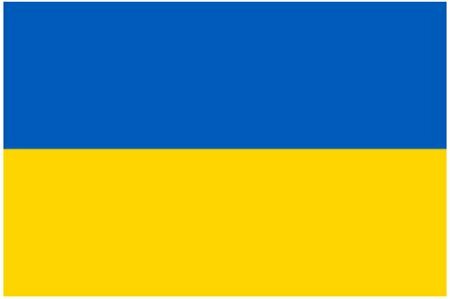 Mrs May’s car was ahead, was not involved in the accident and continued driving. Downing Street confirmed Mrs May had not been involved in the accident but said it would not comment further. It is thought no-one was seriously injured in the crash involving one of the vehicles accompanying Mr Michel’s car. 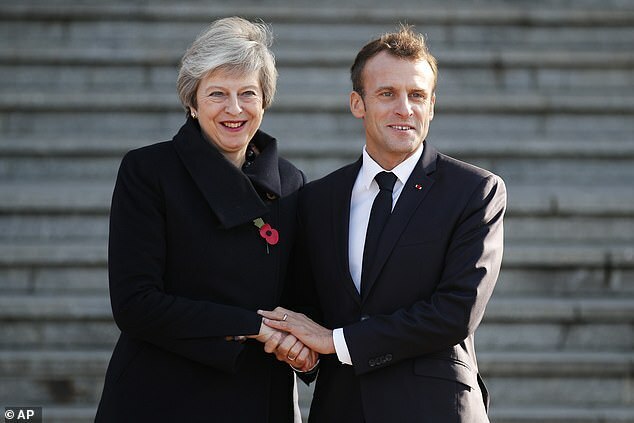 Mrs May is currently having a working lunch with French President Emmanuel Macron in Albert and is due to lay a wreath at the Thiepval Memorial this afternoon. The ceremony at the memorial has been slightly delayed. Earlier Mrs May quoted First World War poetry while she thanked fallen troops for being ‘staunch to the end against odds uncounted’ as she paid her respects to mark the centenary of Armistice. 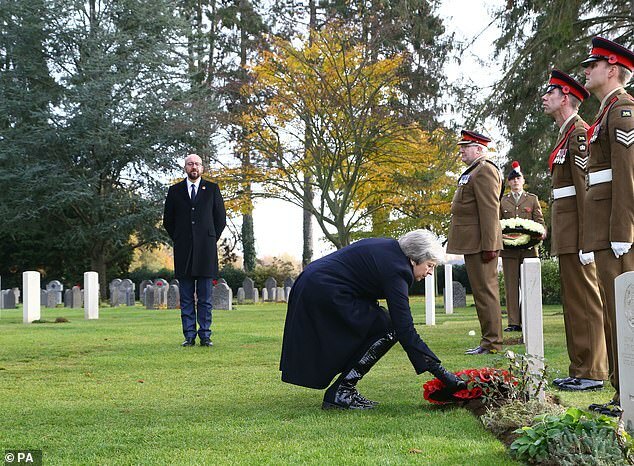 Dressed in a black coat and knee-high patent boots, Mrs May was sombre as she laid wreaths at the graves of Private John Parr of the Middlesex Regiment, who died on August 21 1914 – the first UK soldier to be killed in the conflict.